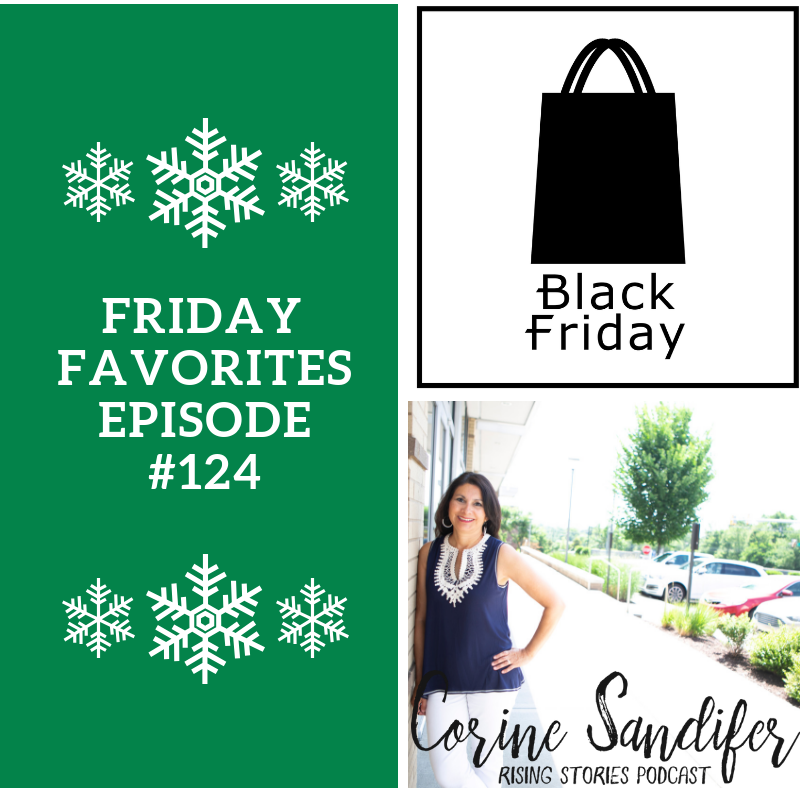 Today on Friday Favorites I'll tell you all about why I am in my pj’s on Black Friday and I mention my favorite item at Trader Joe’s. I'll also reveal the one item that will get me inside a mall. I share all kinds of things from favorite Christmas movies, who I follow on Instagram and what I think about Michelle Obama. Oh, and I also tell you about my favorite place to pick up a new Christmas ornament. Don’t forget about Small Business Saturday. Please send me your Hallmark Favorites!!! I am ready.